Driving Directions | Peninsula Capital Partners L.L.C. 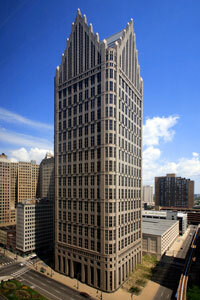 Located on downtown Detroit’s central corridor, Peninsula Capital Partners is easily accessed from all major airports and has a variety of lodging accommodations in close vicinity. The One Detroit Center parking garage is located directly east of the building and can be entered from Larned or Congress. Numerous other pay parking lots are located nearby.